So far we have walked through setting up CI/CD for EKS using AWS CodePipeline and now we are going to make a change to the GitHub repository so that we can see a new release built and delivered. 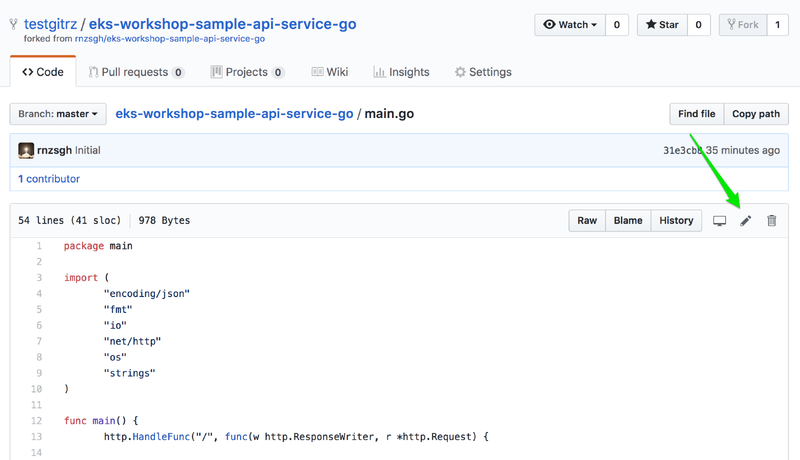 Open GitHub and select the forked repository with the name eks-workshop-sample-api-service-go. Click on main.go file and then click on the edit button, which looks like a pencil. 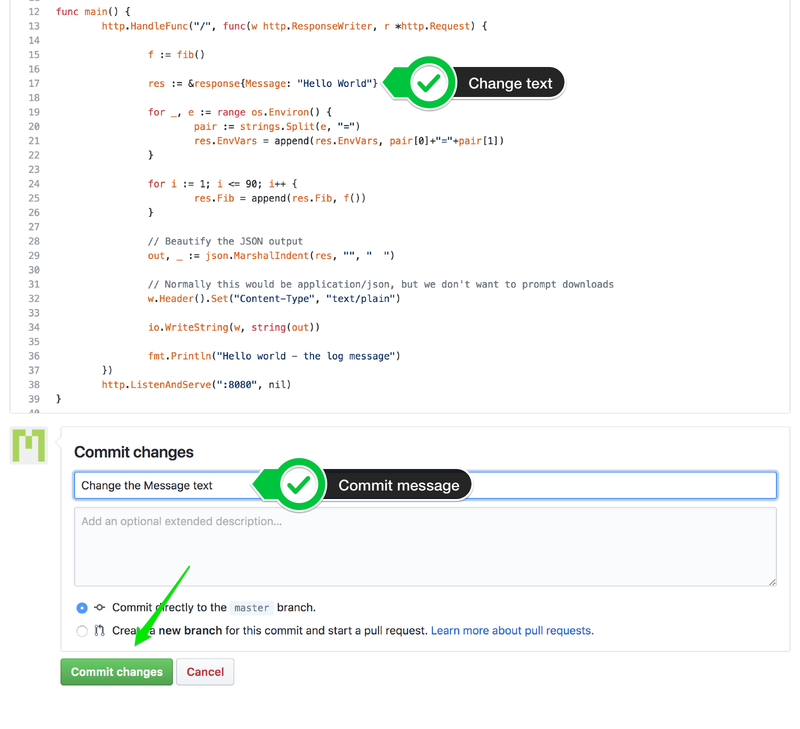 Change the text where it says “Hello World”, add a commit message and then click the “Commit changes” button. You should leave the master branch selected.